If truth be told, Mystic OS is one of the best custom ROM available out there especially, for MTK Android devices. 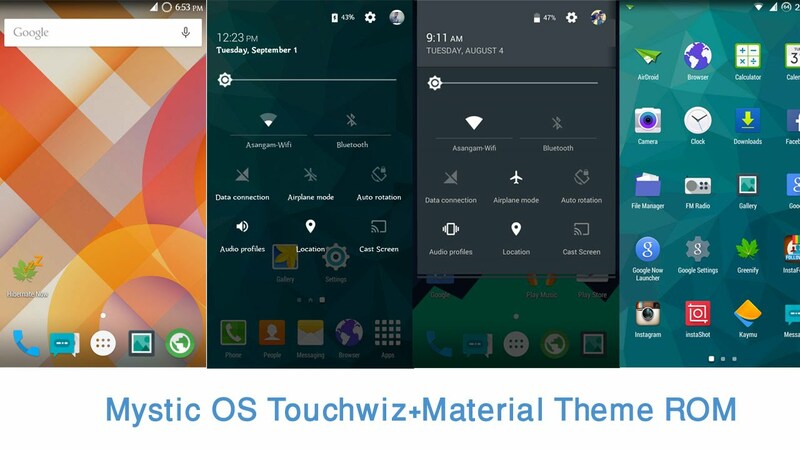 Based on the CM12.1 android 5.1.1 (Lollipop), Mystic OS is designed from source for Tecno H6. This version of Mystic OS has the same features for Tecno H6 has other version 7 of the Mystic OS. To avoid repeating the same thing, check here for the full feature of the Mystic OS. 2. Make a full NAND Backup before you flash the ROM. Don't worry, you simply have to backup your ROM using the Custom Recovery before flashing this ROM. 4. Move the downloaded file to your device SD Card. 5. Now, switch off your device and boot to recovery mode.
. Press and hold Volume Down button + press Power button until the recovery screen appears. 7. Now, go to the recovery main screen and click Install ZIP from SD Card, then select the Mystic OS V7.Zip file and install it immediately. 8. Wait few minutes until the installation process is completed then, go back to the main recovery menu and tap on Reboot System. Wait few minutes while your phone reboots. Remember that the first boot usually take between 5 - 10 minutes. No. It can't work on your Tecno P6.